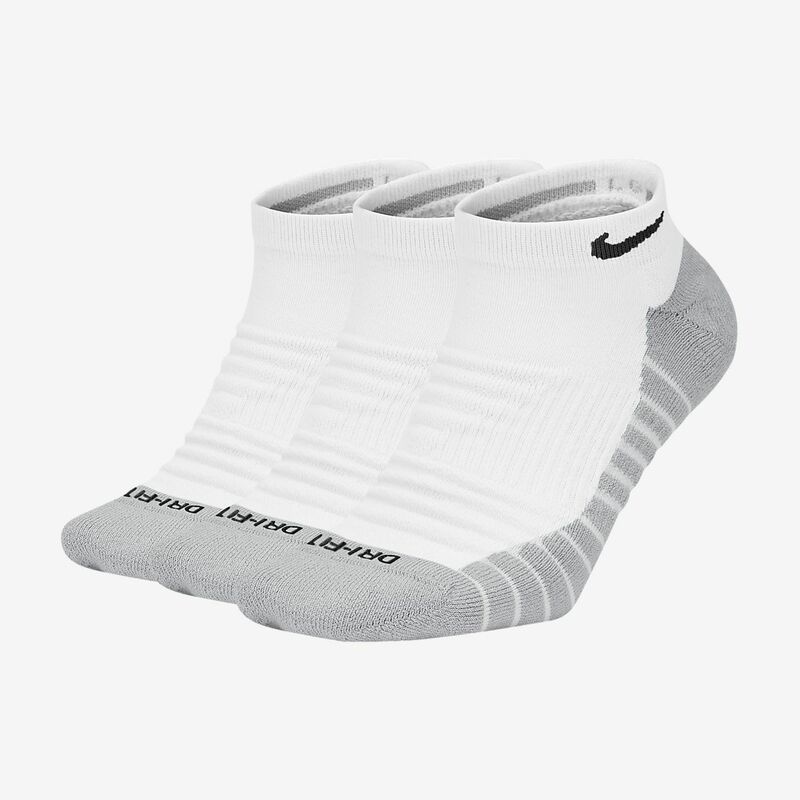 The Nike Dry Cushion No-Show Training Socks help keep your feet dry and comfortable during your workout. Returned as the sock goes 1-2" higher than other no-show socks from NIke and didn't breathe very well. My feet got very sweaty just from a weight lifting session, which has never happened in other nike dry socks. The quality is very high and fit is great though.